Here recently I been getting myself some Blu-ray discs... since thanks to my daughter getting a new player for when she goes off to college... my daughter gave me her blu-ray player... which thankfully easily hooks up to my standard TV. I have a nice little collection of Blu-ray collection starting to build. Mostly thanks to gifts and free upgrades to combo sets when making trades at a friend's store. So thought this was the perfect time to have such a marathon. Best part about this weekend... I will get to watch these on an HDTV despite not having one yet. As I will be able to watch these in my daughter's room (she said she is on the laptop 90% of the time anyway!) on her's. See below for the list of films I have on BD. Titles in bold are ones I haven't watched yet. Note: I may have seen the movie before... but not since getting the disc. These are titles I have on order. At least some of them should get here in time for my marathon. Titles in bold are ones I haven't watched yet. Note: I may have seen the movie before... but not since getting the disc. I do believe there may be one or two more in Britt's collection. I know she has some anime series on BD... but have to wait till she wakes to find out about other films. Any recommendations from the above is appreciated... but no promises I will get to them this weekend. As I can only get to so many this weekend and a lot depends on my mood as well. The Crazies (2010) - Very possible to get here in time. Was scanned a couple towns over from us late last night. The Hunger Games - Very possible. Been expecting it any day now since the beginning of the week. Jennifer's Body - Doubtful. It shipped but hasn't been scanned since the original shipment a couple days ago. Let Me in - Good Chance. Last scanned a couple days ago. Was a couple states away from me. Scheduled Delivery tomorrow. Pride and Glory - This one definitely won't make it in time as it hasn't even shipped yet. It has been years since I seen this film! So watching it for the first time ever on Blu-ray was an extra treat. And I can say I saw such a difference right away! I have yet to see Terminator Salvation... but so far this is my favorite film in the franchise. I really liked the addition of the T-1000 with his liquid metal morphing abilities. I really enjoyed watching this one again... definitely recommended. Thanks... will probably watch Terminator Salvation later today.... depending on what (if anything) arrives in the mail today. Either way I am sure I will get to it before the weekend is over with. The Strangers and The Avangers! The Strangers is already on my short list. The Avengers... I already seen it like 4 times... but maybe... love that movie! As I said in the other thread... today I got The Crazies and The Hunger Games in the mail. So will probably get to those this weekend too. 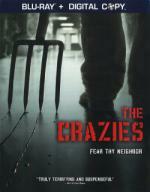 I am really curious about The Crazies. Then you watch either that or 'The Strangers' i really enjoyed it! i watched The Strangers first on dvd, and blu afterwards. Great horror! And if i dont remember very wrong, isnt 'The Strangers' based on a true story? Every year in the ruins of what was once North America, the Capitol of the nation of Panem forces each of its twelve districts to send a teenage boy and girl to compete in the Hunger Games. 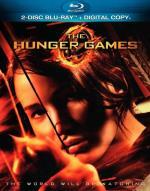 Sixteen-year-old Katniss Everdeen volunteers in her younger sister's place and must rely upon her sharp instincts when she's pitted against highly trained Tributes who have prepared their entire lives. If she's ever to return home to District 12, Katniss must make impossible choices in the arena that weigh survival against humanity and life against love. For the next film I let my daughter pick the movie to watch... and this is the one she wanted to see. I found this to be a very good film. It easily kept my attention from beginning to the end. And I was pleasantly surprised to see an appearance by Donald Sutherland as President Snow. I always liked him. I would have liked to seen more hunting scenes... I kinda went into this one expecting to see more. I also found that while this is a rather long movie... it didn't feel like it while watching it. I would say this one is definitely worth checking out. Do you still need to see Battle Royale? yeah... actually I do... I was saying the same thing to Britt when she said they were similar. I have it on DVD... just haven't taken the time to watch it. 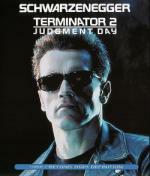 ... but so far this is my favorite film in the franchise. For me it's the first one... I can't stand Edward Furlong in this and this is too much a special effects showcase for my taste. In this terrifying glimpse into the "American Dream" gone wrong, an unexplainable phenomenon has taken over the citizens of Ogden Marsh. One by one the townsfolk are falling victim to an unknown toxin and are turning sadistically violent. People who days ago lived quiet, unremarkable lives are now depraved, bloodthirsty killers. While Sheriff Dutton (Timothy Olyphant) and his pregnant wife, Judy (Radha Mitchell), try to make sense of the escalating violence, the government uses deadly force to close off all access and won’t let anyone in or out – even those uninfected. An ordinary night becomes a horrifying struggle for the few remaining survivors as they do their best to get out of town alive. Breck Eisner (Sahara) directs this suspenseful reinvention of the George A. Romero classic. I been wanting to check this one out for a while now. I must say... I enjoyed it quite a bit. It kept my interest from the start. It has a good story and likable characters. I know this is a remake of an older film... and I have heard that it isn't really that similar... but I must admit... despite that I am curious about the original after seeing this one. If for no other reason then to see just how much it differs. This is worth checking out if you haven't yet. Marvel makes cinematic history as it unites the Super Hero team of a lifetime. 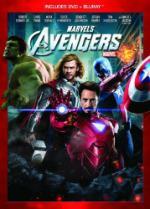 Iron Man (Robert Downey Jr.), Captain America (Chris Evans), The Hulk (Mark Ruffalo) and Thor (Chris Hemsworth) assemble together for the first time ever in this epic, action-packed blockbuster – alongside Black Widow (Scarlett Johansson), Hawkeye (Jeremy Renner) and Nick Fury (Samuel L. Jackson). Director Joss Whedon creates an unprecedented masterpiece that has become a global phenomenon. Packed with awesome special effects, Marvel's The Avengers is the must-own movie sensation your family will watch over and over! Yes, yes we just watched The Avengers again! This is like my 6th time watching this film since it came out. Once at the theater... twice on DVD... and now 3 times on Blu-ray. But what can I say... I love this movie! Even after all these multiple viewings I still enjoyed every second of it! This movie is almost two and a half hours long... but it sure didn't feel like it while watching it! Everything moved quickly... it is quite action packed... and it has a plenty of laughs as well. Sure there was maybe a few jokes that fell flat for me... but for the most part I think Joss Whedon did an excellent job. As did the entire cast. I was a little concerned about Mark Ruffalo taking over the part of Bruce Banner... but I liked him in the role too. The Hulk is probably my favorite character in the film. He really stole the show. I couldn't recommend this one any higher.